Undergarments that generate heat using soft stretch type material that can be worn all year round. Our special underwear both for male and female are good for beauty, health and healing. We manufacture and sell Yakusugi (Cedar) products. We develop Yakusugi fragrance incense and the incense stick, “Juko”. They sell well. Our products fall into the thick thread category which is very high in quality. They are used for industrial materials such as car seats, tents, curtains, carpets, work gloves and socks. With our technology to utilize information, we flexibly build information systems that meet the needs of our users. We develop global business activities by designing, manufacturing and selling small precision motors, hall elements and hall IC. We will keep on working towards our future. We are the biggest absorbent cotton manufacturer in the world. KOA GAS NIHON CO., LTD.
We have been developing and expanding the gas business dealing with propane, town gas and small-scale gas since 1955. We provide gas to the 60 thousands households in the prefecture. We supply armor and other tools to Samurai films and broadcasting stations. We assist with events and operations in certain areas. We have a system concerned with planning, designing, manufacturing and installation. 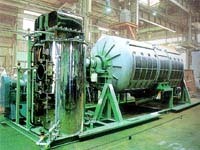 We are well-known as a sugar manufacturer equipment maker. We have a manufacturing system that handles textiles from the original knits to the finished product. We have same kind of factory in Thailand. SATSUMA SANSO KOGYO CO., LTD.
TERADA SEKIZAI KOGYO CO., LTD.
“Good quality, low price and large sales” is our motto.